This high-level Round Table is organized by 100 Resilient Cities and Rotterdam Resilient City and will address the challenges faced by Africa’s rapidly growing cities and share perspectives on the resilience journey, challenges & opportunities. The participants at the Round Table Resilient Cities in Africa will discuss what resilience means in the African context, as well as how to ensure sustainability and climate resilience when building resilient cities in Africa. 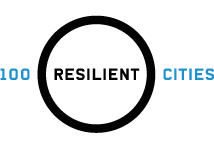 *The Round Table Resilient Cities is by invitation only.